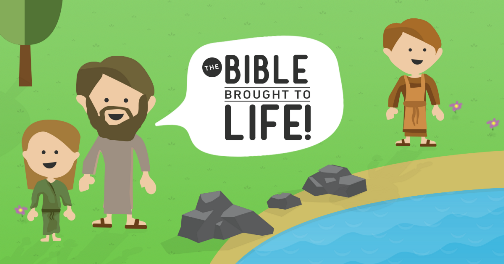 We have been focusing on one subject more than any other this summer - Bible. 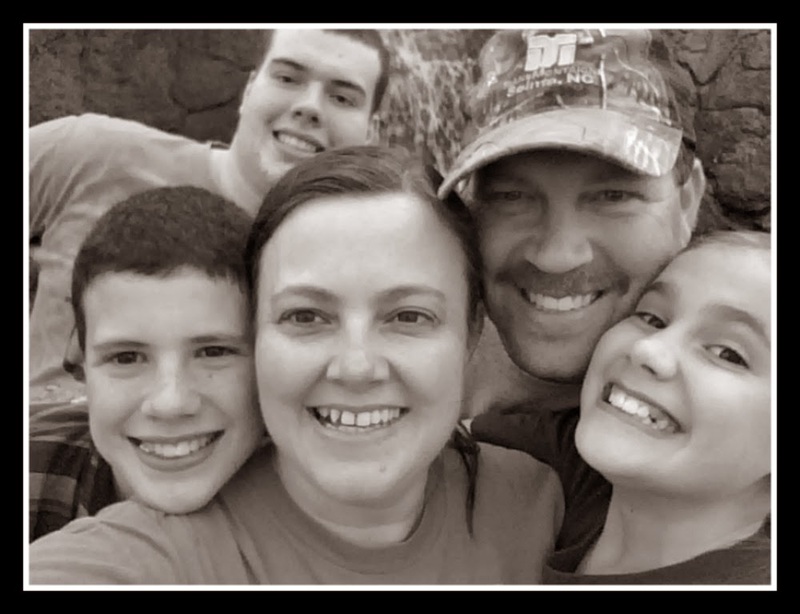 When we began homeschooling, my main objective was for my children to have more time to grow in their relationship with God. Veritas Press has a wonderful curriculum that really helps bring the Bible to life. We have been having a blast testing out their Self-Paced Bible course on the New Testament 1: The Gospels. Since we reviewed their Self-Paced History course last year, we were pretty familiar with the format as both work in the same manner. 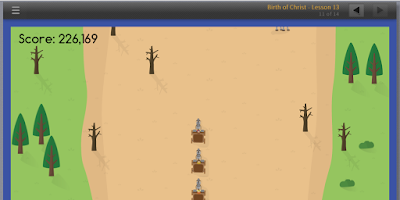 The Self-Paced Bible course for the New Testament: Gospels offers 128 lessons covering 32 events of the Bible beginning with Zacharias Learning of John's Birth to the Ascension of Jesus. We found the course to be extremely user friendly. During our review period, we had some issues with our internet service and often found the statement "slow connection" printed on the screen. We could not watch in high definition at that time but still found the images of the video to load clearly and none were distorted. We also had an issue with one of the slides seeming to get stuck not allowing us to move forward in the lesson. I contacted the company and had a response with the issue resolved within the same business day. We have been smooth sailing ever since. Each event has 3 lessons and a test so we worked on this 4 days per week. It could definitely be completed by the student independently but I love watching the lessons and seeing how well I can answer the questions too. As time went on, I also found my older son joining in to listen and trying to answer as well. Sarah, who is 12, actually answered the questions on the screen and played the review games as only one set of scores is recorded but we still enjoyed listening and answering on our own. 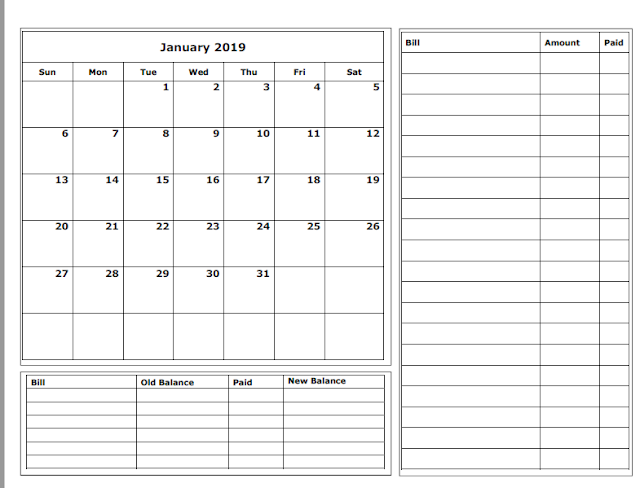 Students have their own login information and the screen below shows them where they are, how they are progressing, and their current grade in the course. 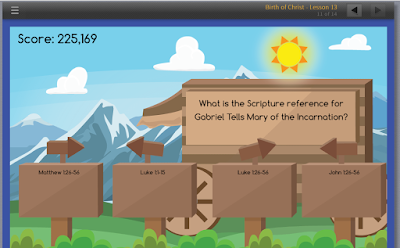 In the New Testament: Gospels Bible course, students are taught the events by a carpenter, Benjamin, and his apprentice, Jude, along with Spyro the dove and Uz the termite. Lessons are taught in conversation style with lots of wit and humor thrown in along the way. In every lesson, students are given review questions and games to play to help with review. At any time a student can go back to a lesson for review but scores will be kept from the first attempts. For instance, in this game you try to keep your caravan together using the arrow keys to dodge obstacles in the road such as horses, cows, rocks, trees, etc. Once you reach the end of the road, students answer review questions to earn additional points. Once a predetermined amount of points has been reached students may advance to the next slide or lesson. Students are also taught geography and timeline as well. We found it hard to stop "learning" some days because it is so much fun. The built in review really helps to solidify the facts. I never knew the dates for when Zacharias was told he would have a child but now I sure do and so do my children! The Veritas Press Gospels Flashcards sold separately would be a great addition to this program as they are taught in a catchy memory song through out. All the information on the cards is taught in the course. The cards are not necessary to complete this course but make a great addition. There are 5 Self-Paced Bible courses. The other Self-Paced Bible courses currently available besides The Gospels are Genesis to Joshua, and Judges to Kings. Chronicles to Malachi and Acts to Revelation are coming soon. This course is an online course in which you have one year to complete. It is recommended for students in 2nd-5th grades but we found it great for our older children too. Children will need some basic keyboard skills as well such as dragging and dropping. The course regularly priced at $179 for the year but until 7/11/16 there is a $100 discount lowering the price to only $79 for the year! You can purchase it now if you wish and defer your start date to a later time. 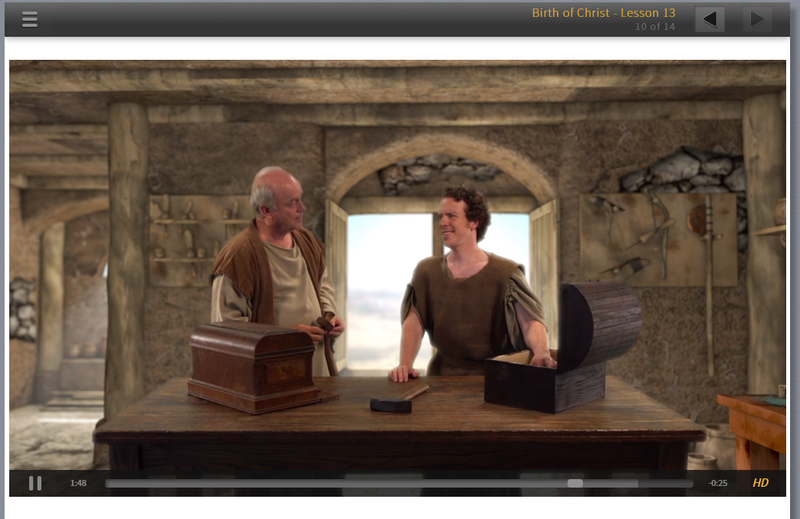 We think this program is a fantastic way to learn your Biblical facts. You can also find Veritas Press on Facebook, Pinterest, Instagram, and Twitter.